Arrangement with tropical flowers from South America. 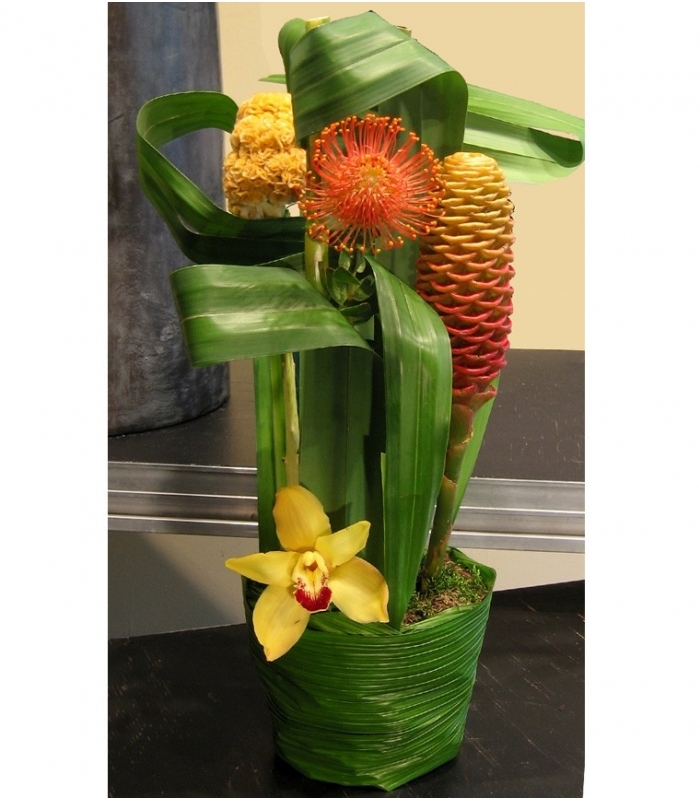 This colourful arrangement is composed of an orange protea pincushion, a maracas flower, a celosia and a yellow cymbidium orchid. 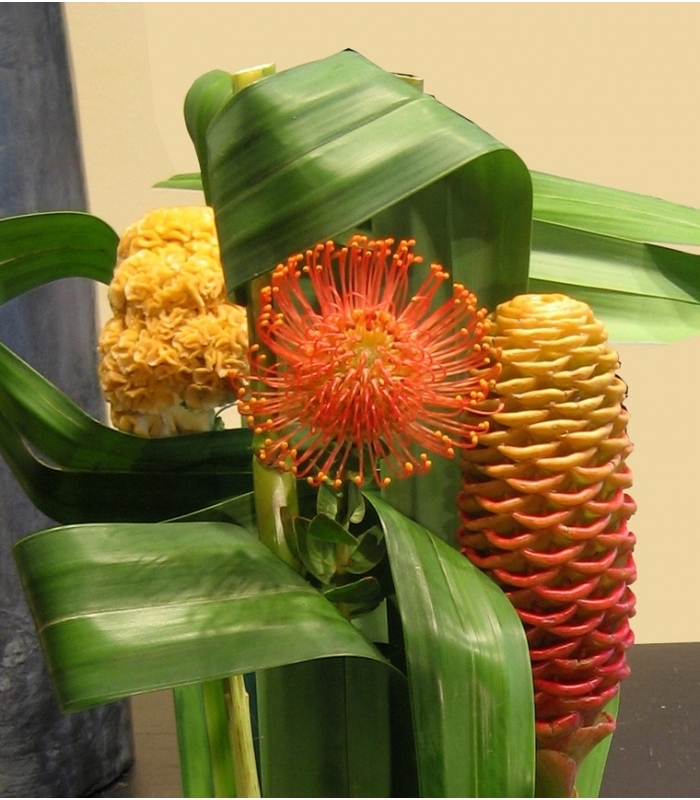 The flowers are enhanced by tall folded pendanus foliage. The flowers are inserted in a terracotta pot filled with humid floral foam wrapped with a coco leaf, giving it a tropical feel.